This entry was posted in Story, Tasmania, vineyard and tagged Anthony Woollams, Champagne varieties, Sparkling varieties, Tasmania, Tasmanian vineyard, vine cuttings. Bookmark the permalink. 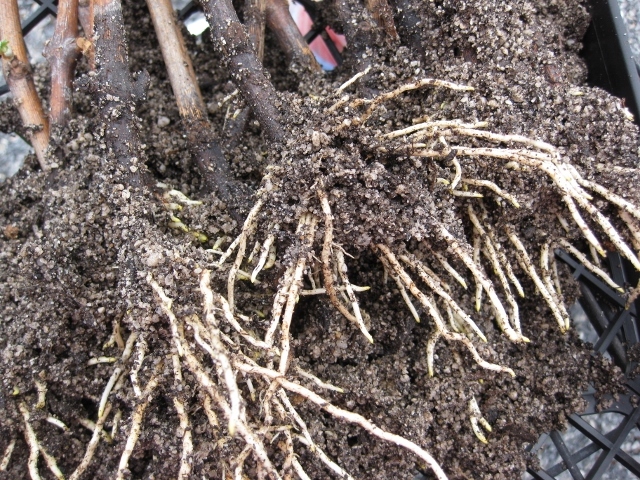 After potting those babies up yesterday, (with a bit of root PRUNING !) they will have fruit set in the Nursery fairly soon !